Kung Fu Schools Peterborough offers 4 weeks free training to new members! Sign up in your second week and receive your uniform for free! We’re a martial arts school in Peterborough that offers a complete self-defence system for men, women and children. We teach Wing Chun Kung Fu, the Chinese martial arts made famous by Bruce Lee. If you're looking to learn self defence, boost confidence, improve fitness, reduce stress or even just wanting a new hobby and meet some new people, then pop in to see our full time venue dedicated to martial arts training, with equipment like wooden dummies and punch bags to help you improve along the way. Whatever you hope to achieve from our self defence programme, we can cater to you needs. Our classes have a comprehensive curriculum and a fully structured grading system. We offer a range of different training opportunities. Our basic classes are designed for students with no experience at all and for those with experience in Wing Chun or other martial arts like Karate or Judo. Our team of instructors are professional, friendly and approachable, they attend regular training sessions of their own to ensure they share the best possible experience of martial arts to their students. Contact us to book in for your 4 week free trial! 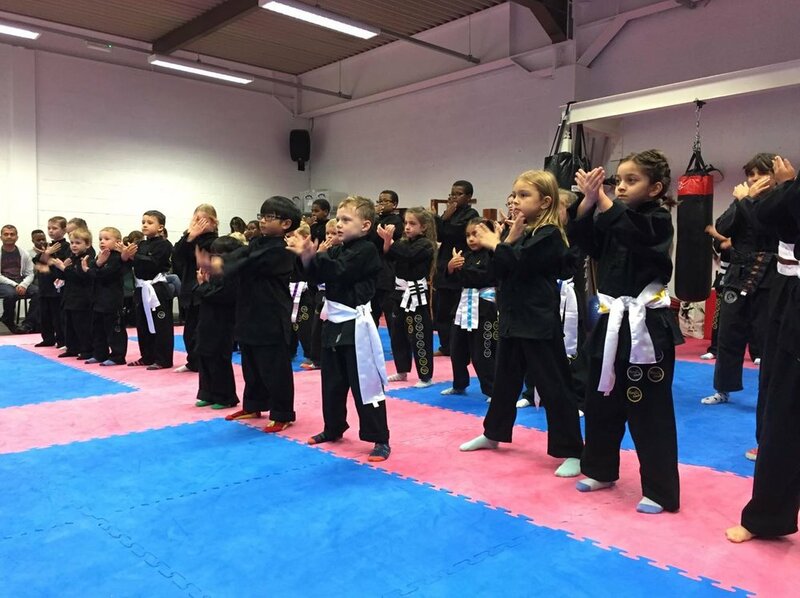 Our Children's classes are spilt by age and skill level, Little Dragons aged 4-7 and Junior Warriors aged 8-12, each age group has a beginner class and an advanced class. This ensures each class to be challenging and fun whilst learning techniques designed for younger or older children. We're aware that all children learn at a different rate, and so we aim to have every child feeling confident and comfortable in every class, allowing each to shine in their own way and show their own unique strengths. With lots of activities throughout one class the children are engaged, focused and ready to learn each skill. With our traditional sash (belt) ranking system, students set their goals, work hard and never give up in their journey towards black sash. 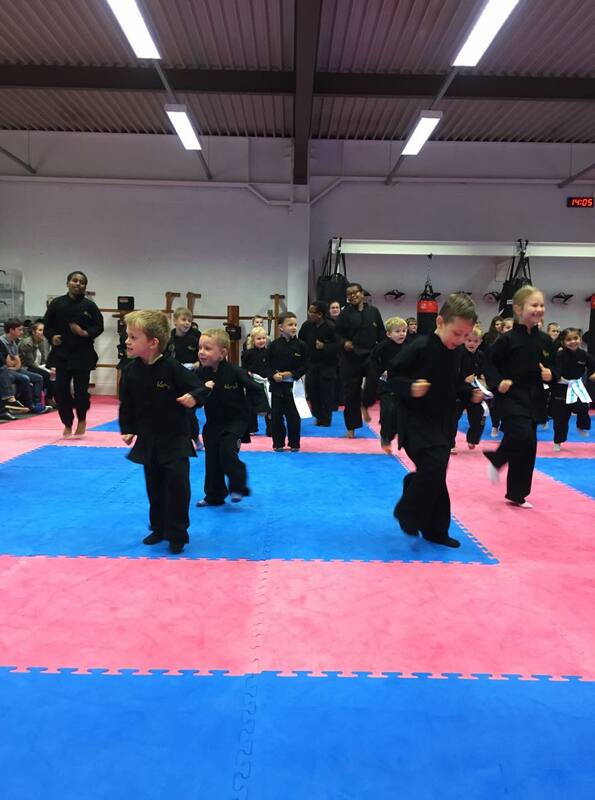 Our Martial Arts classes use positive rewards and recognising children’s achievements so that they’re encouraged to challenge themselves every step of the way. All of our instructors are fully trained and DBS checked. Our Little Dragon classes focus on increasing confidence, motor skills development, fitness and character building whilst having fun learning self defence techniques in a patient, friendly environment. It's a fantastic introduction to martial arts and they'll learn self discipline and respect for themselves and others. Our Junior Warrior classes focus on more structured Wing Chun training whilst improving self control and concentration. They can start to learn how to work as partners and weapon drills as they progress through the grading system. Each class, like the Little Dragons, will have an aspect of working with the Instructor to perfect their technique. Junior Warriors become focused, fitter and more confident in themselves during every training session. Some even begin to learn teaching skills and being a role model to the younger children by helping them with their training. Contact us to book your child's 4 week free trial! Gareth started training Wing Chun in 2008. He started teaching classes in the Crawley Kung Fu Schools headquarters before moving to Peterborough. He is currently a 3rd degree under Master Paul Hawkes. Gareth also trains Brazilian Jiu Jitsu, and has previously trained Fujian White Crane kung fu, Judo and Muay Thai boxing. He also enjoys swimming, cycling, running and scuba diving. Adam grew up watching martial art films and always wanted to be Bruce Lee or Jean Claude Van Damme. Adam trained in kickboxing for several years attaining black belt and instructing. He started training Kung Fu in 2016 and been a kids instructor since 2017. Callum started training in 2012, and started helping with kids classes the following year. Callum is 2nd degree. Growing up Nuno always wanted to practice Kung fu, thanks to Jackie Chan movies. He started training Wing Chun back in 2016, and started assisting the kids classes in 2017. Nuno is also a black belt in Taekwondo, a fitness instructor and personal trainer. Jacquie has been training with the school since 2012, and has been teaching children since 2015. In her spare time, she is a therapeutic dance instructor, Reiki Practitioner, artist & creative plus priestess in initiation. She enjoys long walks with her dog & yoga. Just 3 miles from the city centre, our full time venue is located in North Bretton, with plenty of parking, great facilities, and easy access. Alpha Business park is opposite Peterborough ice rink, and there's a large sign for us. Feel like trying our 4 week free trial with NO OBLIGATION to join? Put your details in the form and we'll contact you.